In 2002, Lucy Cameron decided to move out of London to a more rural setting where she and her husband would be closer to their families and be ready for starting their own. But the pay-off was a minimum 3-hour commute to and from work each day. Childcare got increasingly difficult and their only solution was to get a live-in au pair. Lucy’s commute continued to be the bain of her life with train delays, strikes and engineering works making her miss precious bedtimes with her children. Lucy Cameron explains: “In 2010 my kids were 2, 5 and 7. 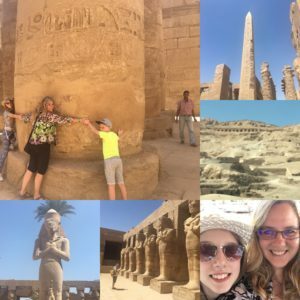 I felt our relationship getting increasingly distant as the au pair seemed more like a mother figure and a friend to my children than me. 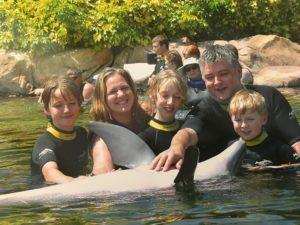 I was finding the commute to and from work each day very tiring, Finding the energy to enjoy the weekends and go on family trips was getting more and more difficult. At work, I felt the palpable disdain if I asked for time off to watch my children in school assemblies, carol services or attend parents’ evenings – so I just missed them rather than ask. My husband also had to commute for his work so the children were losing out on time with both of us! 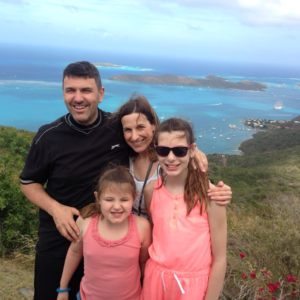 Having found a good work-life balance, Lucy is focused on helping other business owners find that balance too. She has won three Best Client Results awards since 2013 and one of the companies she coaches went on to win a highly-contested industry award. “You can see why I’m so pleased to enjoy a business with so many rewards, not just the flexibility or financial! In total, I have worked with over 70 businesses and coached over 130 people in the last six years. 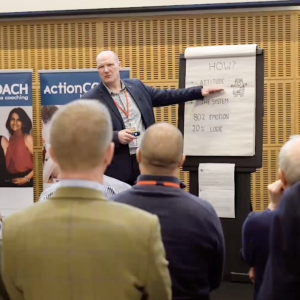 Many ActionCOACH franchise partners are generating well in excess of £250k a year, renting offices away from home and restricting coaching sessions to an hour. Lucy wants her business to fit around her lifestyle but still be effective for her clients. “To make sure I stick to those first goals I set for myself, I coach from my office at home in the garden. I like to make sure my clients get what they need from each session, especially when they’ve made the effort to travel to me, so my coaching is rarely just one hour long. I see my relationships with clients as more than professional, they are also friends. “In the future, I will be looking at bringing on board an employee business coach, ideally another working mum as that will create more role models. I am also building a team of freelance trainers – also mums – so I can provide additional services to businesses around leadership and development. Once I have set this up, the beauty of my business is that this won’t affect my current work-life balance. What’s It Like To Truly Love Your Job?